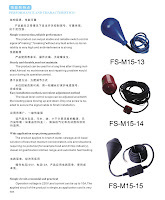 Float Level Switches - Misensor Tech (Shanghai) Co.,Ltd. The product can output stable and reliable switch control signal of "making", "breaking" without any fault action, so its reliability is very high and anti interference is strong. The products can be used for a long time after it being installed. almost no maintenance and repairing problem would occur during its operation period. The product applies to branch water, sewage, acid-base solution of less than medium concentration, oils and situations requiring no pollution (for example food and drinks industry), diesel oil gasification kitchen range, and automatic fuel feeding. Operation voltage is 220v, and current can be up to 10A. The applied circuit of the product is simple, so application cost is very low.